The Max Luscher Color Quiz is really a mental test introduced by Dr. Max Lüscher that shows your true personality. 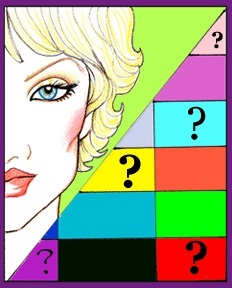 Take this free online color personality test to understand your personality in seconds! It is based on Dr. Max Luscher’s research which says that since the color choices are made in an unconscious manner, they demonstrate the individual’s true preferences as they are really, and not as they see themselves or want to be perceived. Take This Fantastic Free Color Test Online! Color has been around since the world started, however it was not truly understood till about a century ago. The psychology of color can be used by anyone and everyone for personal and professional reasons. There are eight colors used in this amazing color test, and each has its own meaning depending on how it is chosen. This color personality test was established by Dr. Max Luscher and it is used worldwide, most particularly in Europe, by researchers, doctors, government departments, and colleges to screen their candidates. Advocates of the colour test claim this process enables an immediate and deep personality analysis with the help of just color grading. When using the test, the person decides which color he likes most and places the rest of the colors in a descending order. 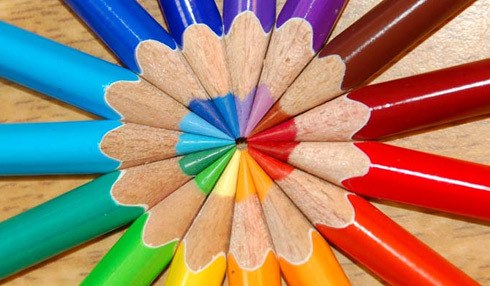 By analyzing the order in which the different colors are chosen, a true picture of the personality of the individual can be established. Below is a brief description of the eight colors used in the Luscher color test and their meanings. Blue - Signifies passive, incorporative, sensitive, intelligent, and unifying. Its features are peace, satisfaction, delicate, love and affection. Green - Signifies passive, cynical, independent and controlling. Its features are persistence, independence, stubbornness, and self respect. Red - Signifies active, aggression, dominating. Its features are inner desires, elation and competition. Yellow - Signifies activity, enthusiasm, passion, ambition and inquisitiveness. Its features are new changes, innovations and animation. Purple – Since this is a combination of colors, it has properties of both red and blue. Signifies search for reality in everything you do. It represents royalty and a dreamy relationship. Brown - Pertains to bodily senses. Its positioning signifies your body's health. Black - Signifies the thought of oblivion, because it is the opposite of color itself. It signifies giving up everything and surrendering yourself. Gray – Since this can’t be said to be light or dark, it signifies hiding and abstention. Produced by Dr. Max Luscher, this unique quiz can be used by researchers world-wide to obtain a look into your personality. Understand your inner and mental needs with this particular detailed color test. 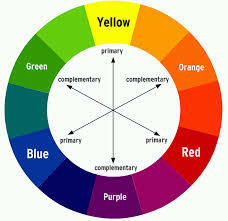 Pick the colors as instructed and with no prejudice and you shall obtain the right results. Know the meaning of different colors in your life and allow it to reflect in your behavior and actions. Get the complete color personality profile and find out what it really can reveal which may not be known even to you. 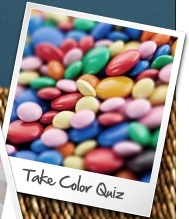 Take this free online color quiz right now!